Holly Stewart gives an extensive summary of the Theatre's history starting with the 1960s. 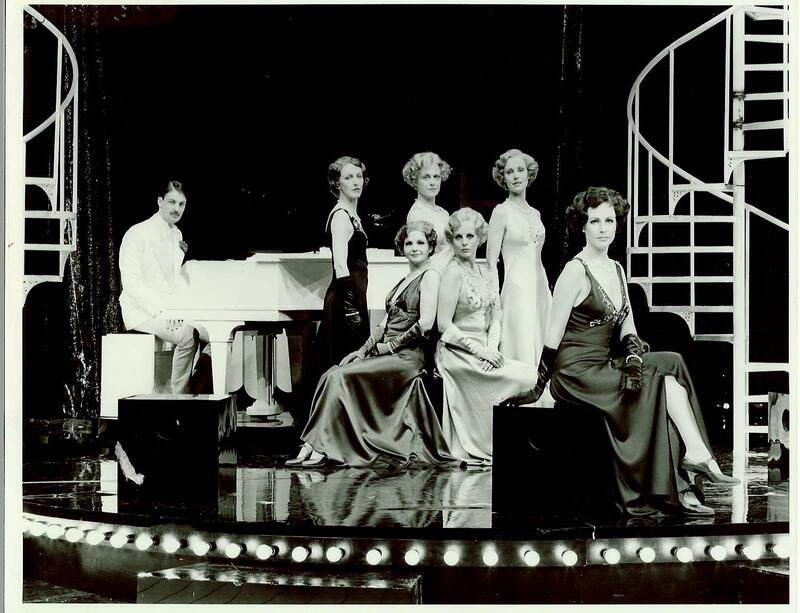 After the glitter and celebration of the first night had faded, all eyes were on Chichester to draw the crowds and please the critics with the first season. Reviews of the first play, a reprisal of John Fletcher’s Jacobean comedy The Chances, came back mixed, but the ticket sales were respectable. However, audience numbers for the second play, John Ford’s A Broken Heart were disappointing. (Sir Laurence Olivier himself admitted it was a “terrible flop”). 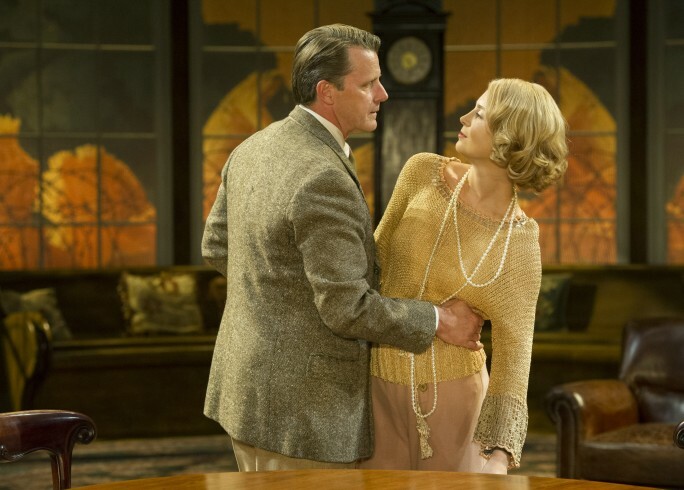 The season’s third offering, Uncle Vanya, was to cement Chichester’s place in British Theatre. It was a huge success and was brought back the following year, and has since been staged at Chichester Festival Theatre three times. The 1963 season was a triumphant affair. The Workhouse Donkey and Saint Joan (along with Uncle Vanya) received great critical and audience feedback. The Workhouse Donkey, a new play telling the story of political corruption showed that along with reviving old classics, Chichester was more than capable of being both innovative and traditional. 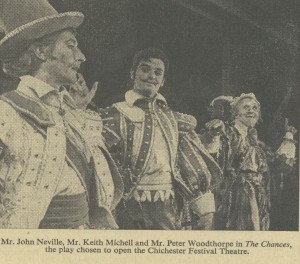 To cope with the surge of people the Theatre brought to the quiet Cathedral city of Chichester, a train service was put on to transfer audience members back to London after the evening’s performance. The Daily Mail commented that it was “the chattiest and most un-British train that British Rail runs”. The founding of the National Theatre in 1963 meant that Olivier’s time was divided as the Artistic Director of both the National Theatre and Chichester Festival Theatre. The National Theatre’s permanent home on London’s Southbank was still being built – it would be finished in 1967. 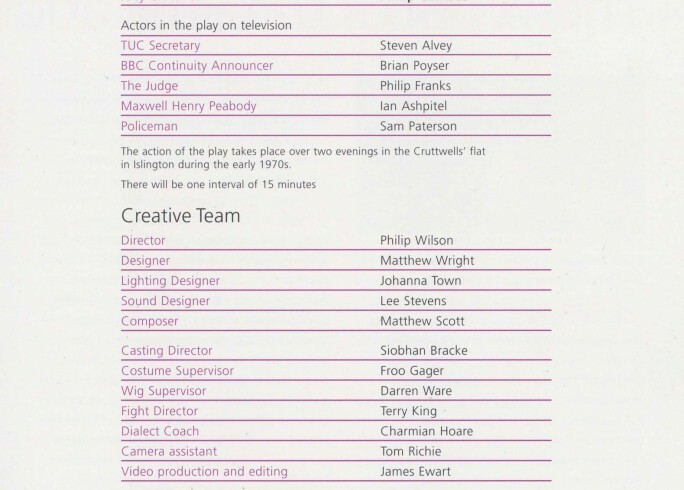 In the meantime, productions by the company were being simultaneously staged at both Chichester and the Old Vic. The 1964 National Theatre production of Othello remains a glistening production in the history of the Theatre. 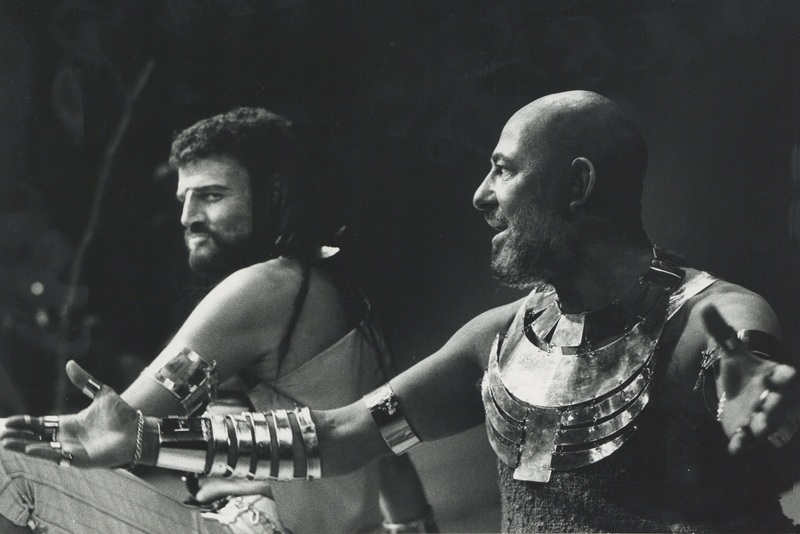 With Laurence Olivier performing the title role, the demand for tickets was enormous; it sold out in eight hours. Hoards of people camped overnight in the Theatre grounds for days in hope of returns. On one such evening, Olivier bought crates of champagne for the campers and served it out to them personally. 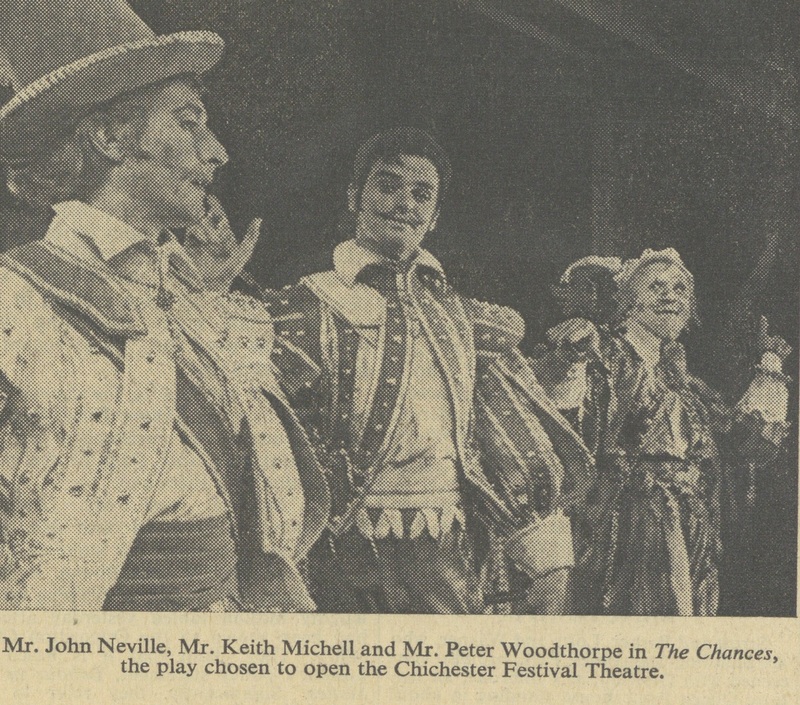 These years brought more new plays to Chichester; two world premieres of work by the then young playwright Peter Shaffer were presented here. The Royal Hunt of the Sun was introduced in 1964 and the following year Black Comedy was debuted starring Albert Finney and Maggie Smith (Festival 2014 sees the return of Black Comedy and also celebrates Peter Shaffer’s work through special events throughout the summer). 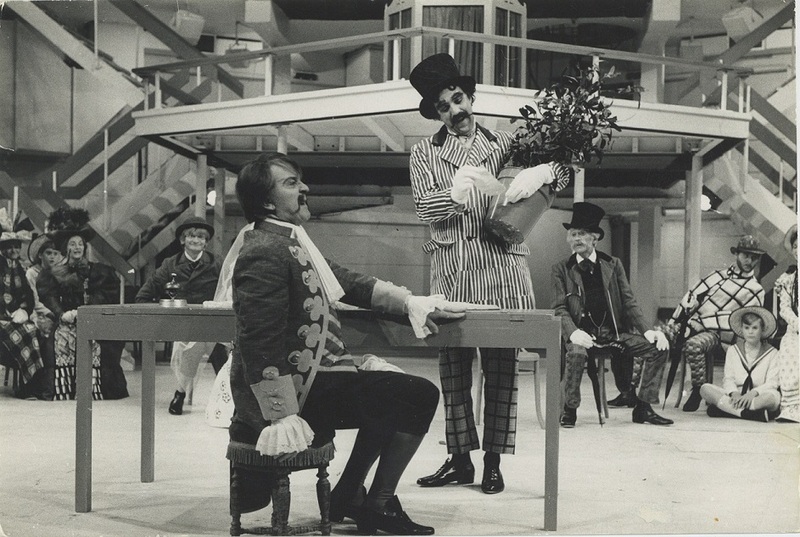 Sir John Clements arrived as Artistic Director in 1966 and brought with him the same actor/director combination that had made Olivier so successful. Clements’ first season included The Clandestine Marriage, The Cherry Orchard and Macbeth. Macbeth’s reputation as being unlucky certainly held true; a rehearsal of the duel scene ended in Ray McAnally being taken to A&E with a broken nose and two black eyes. Despite the accident, the play was a huge success and Clements proved himself to be a worthy successor to Sir Laurence Olivier. 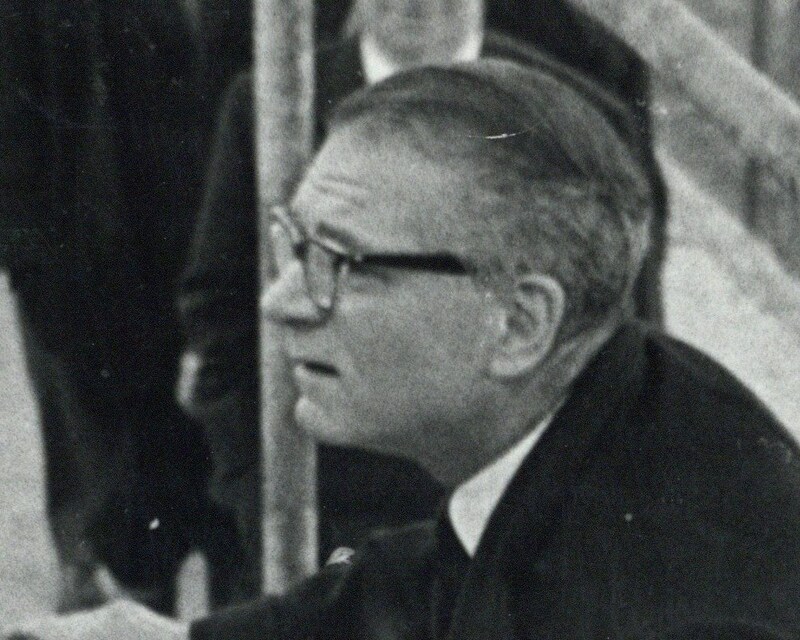 The 1967 Festival brought a challenging situation for Clements. Danny Kaye, the internationally famous film actor, was due to star in a production of The Servant of Two Masters, but dropped out of the performance last minute. This left Clements only a couple of weeks to produce a whole new show and he chose the light-hearted musical An Italian Straw Hat. A huge effort was needed from the creative cast and crew to design, rehearse and generally prepare the performance in a short space of time. Their efforts were rewarded; the show sold out resulting in queues for returns and a brilliant second season for John Clements.